Compared to the ITER Tokamak, a space shuttle, an aircraft carrier and a nuclear submarine are all relatively simple objects: their technologies are well tested and their fabrication is practically industrialized. However ITER is completely unique, and a large number of its constituent parts will be first-of-a-kind. 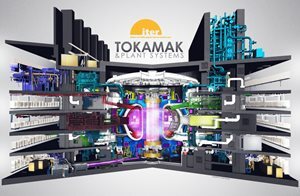 Although other large tokamaks have been built around the world, not one of them resembles the tokamak that will be assembled in Saint Paul-lez-Durance, France in terms of scale and complexity. Adding to the complexity of ITER is a unique procurement program that divides the fabrication of the machine's components and systems among the seven ITER Members (China, the 28 members of the European Union plus Switzerland, India, Japan, Korea, Russia and the United States). If the ITER Project was "only" about building and operating the largest tokamak in the world, things would be simpler. But ITER is more than that. 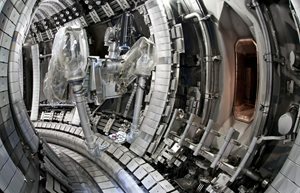 From the beginning, the project was designed with the idea that the Members, through their participation, would each advance their own scientific, technological and industrial base in fusion, and in this way prepare for the next-step machine, a demonstration fusion reactor (see "ITER ... and then what?" in ITER Mag #3). As a result, the ITER Members are involved broadly in procuring components and systems (referred to as "in-kind" procurement). A few examples? 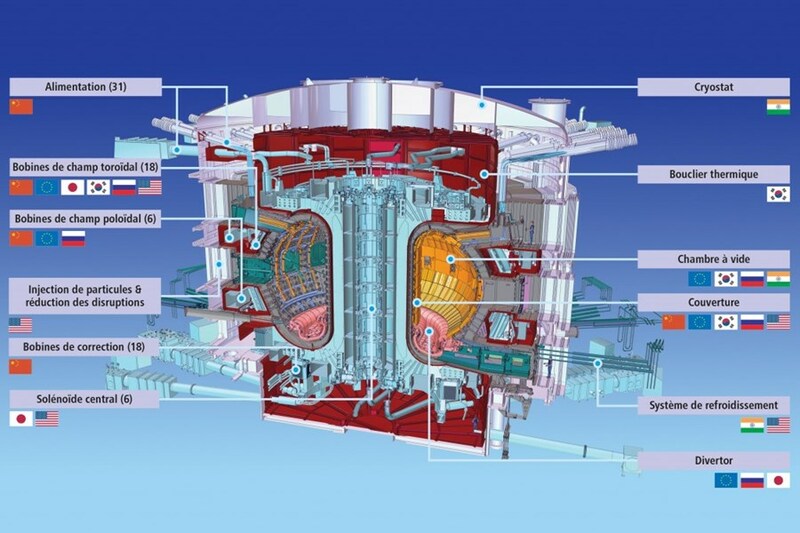 The fabrication of the ITER vacuum vessel sectors has been divided between Europe (7 sectors) and Korea (2 sectors); the central solenoid is a collaboration between the United States and Japan; divertor manufacturing and testing is divided between Europe, Russia and Japan; India and the United States are sharing responsibility for ITER's cooling water systems; the blanket system will be produced by China, Europe, Korea, Russia and the United States; and finally, six ITER Members (all except India) are involved with the production of ITER magnets. Finalized in early 2006, the distribution of in-kind fabrication tasks was based both on the interests and the technical and industrial capacities of each of the Members. How much does ITER cost? Whether you're manufacturing a T-shirt or an ITER blanket module, fabrication costs vary widely from one country to the next. In a similar manner, the evolution of Member currencies as well as labour and material costs over the ten years of ITER construction can fluctuate dramatically. The ITER Unit of Account (IUA) is an in-house currency that was created as part of the ITER Agreement to provide a stable base over time and to equitably allocate the value of in-kind procurement to each Member. It's in IUA, or more exactly, thousands of IUA (kUIA), that the ITER Organization assigns value to each one of the Procurement Arrangements signed with the Domestic Agencies. Does that help us to know how much it will cost to build ITER? 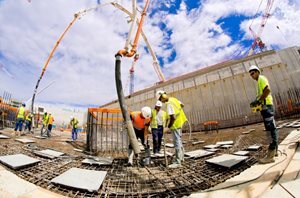 The European Union has estimated its global contribution to the costs of ITER construction at EUR 6.6 billion. The value of other Member contributions depends on the cost of industrial fabrication at home, which can be higher or lower, and the percentage contribution to ITER construction. Based on the European evaluation, we can estimate the cost of ITER construction for the seven Members at approximately EUR 13 billion (if all the manufacturing was done in Europe). This cost will be shared over ten years by the 35 countries that make up the ITER Members (who, together, represent 80% of the planet's gross domestic product). As one element of comparison, Qatar is investing EUR 150 billion in infrastructure for the 2022 World Cup. China, India, Japan, Korea, Russia and the United States have each agreed to cover 9.1% of ITER construction (nine-tenths of this contribution will be supplied in kind to ITER, and only one-tenth in cash). Europe, host to the ITER Project, participates at the level of 45%, including a share of ITER components and systems as well as nearly all the buildings of the scientific facility. For its greater investment, Europe also reaps the lion's share of economic benefits (EUR 4 billion in contracts have been awarded for ITER on European territory since 2007). 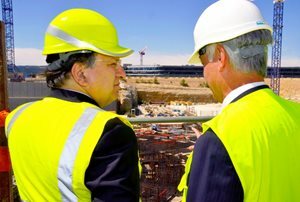 To manage all of these in-kind contributions, the ITER Organization—which coordinates the project—has already signed nearly 100 Procurements Arrangements with the ITER Domestic Agencies (one Domestic Agency has been established in each ITER Member). These agencies, in turn, contract out to industry for the fabrication of the component according to the very specific conditions laid out in the Procurement Arrangement documents. Since the beginning of the process, more than 1,800 contracts for design or fabrication have been awarded by the ITER Domestic Agencies. In factories on three continents, the components and systems of the ITER plant are now taking shape. Putting it all together will be like working on the largest Erector Set in the world, with at least one million components and more than 10 million individual parts. Managing such a unique international procurement system may often be unwieldy and complex, but without it ITER simply would not exist. To conceive of the largest tokamak in the world ... to garner the support of international partners around a common project ... it was absolutely essential to go beyond traditional client-supplier relationship. A whole new form of partnership had to be invented: one that preserved the interests of both the Members and the project as a whole. That's the challenge of ITER, but also its appeal: a project founded on the idea of large-scale scientific collaboration for the good of all.